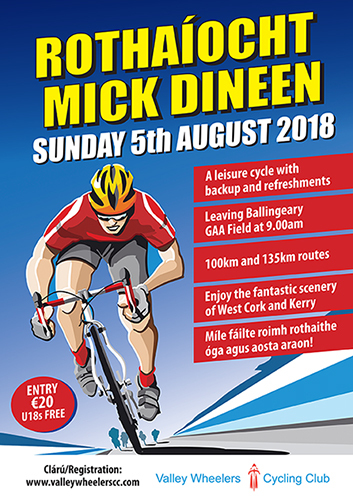 Registration for the upcoming Mick Dineen Cycle on the 5th August is now available online here. The registration fee this year is €20 for adults and under 18s are free. Further information on the event and its routes is available here. Up-to-date information on weekly spins and other events is posted on our Facebook page so please join us there also. See our Facebook link opposite.